A PhD position is offered in Ancient History at the University of Tübingen. The Emmy-Noether junior research group “power and influence: influencing emperors between antiquity and the middle ages“, which is based at the Tübingen department of Ancient History and affiliated with Collaborative Research Centre 923 “Threatened Orders“, offers one PhD position (65% 13 TV-L = about EUR 28000 minimum annual salary) starting in November 2016. The position is limited to 2 years with an optional one-year extension. The PhD project is investigating into the concepts and exercise of personal influence in the 5th and 6th centuries CE focusing on the east. For more information please refer to: http://www.uni-tuebingen.de/de/16155. Equally qualified candidates with disabilities will be given preference. 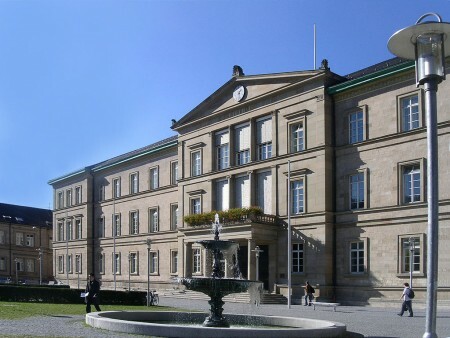 The University of Tübingen actively seeks to foster career opportunities for female researchers and therefore strongly encourages qualified women to apply.